It was my birthday and I had planned to party. It wasn’t a regular party, it was in Skid Row LA. Skid Row is an area where the homeless and hopeless live on the streets. In one of the wealthiest and creative cities of the world, this is a ghetto. A place where LA dreams come to die. A place I wouldn’t venture into normally, but, on that day, our friend Justin from Red Eye had organised a pamper party for the women. There was music, makeup, and miracles. One woman swivelled her hips to the music and danced alongside me. We got chatting. She’s been in rehab for a year, she’s the same age as me, and we would never have met if it wasn’t for this Mother’s Day celebration. ‘I’ve been on drugs my whole life, but I think this might be the time I finally get out of the life.’ Hope danced in her eyes and tears danced in mine. ‘There, but for the grace of God go I,’ I thought. We held hands, hugged, and connected. When we express real emotion and share authentically, the power in this space is infinite. When we step out from behind the barricades of self-preservation and brave the wild, the power in this space is infinite. When we find the courage to show up for each other, the power in this space is infinite. I travelled around the world this year and met people beyond the safe borders of what I know. From Skid Row in LA to poverty-stricken villages in Tanzania, I came into contact with people with different views, orientations, socio-economic situations, and beliefs. Amidst shared experiences, I found we all have the same need for love and belonging. But, the world seems so polarised right now. People who are brave enough to express opinions at the extremes of the opinion spectrum generally shout at each across the internet and things get ugly. It feels safer to sit with people who believe the same things, live the same way, and never step out of the cocoon we live in. It’s easy to feel like we belong when everyone thinks and believes the same thing. Why do we get lonely, even when we’re surrounded by those we consider our tribe? Brené Brown tells us that the quest for true belonging isn’t about just feeling comfortable. She’s encouraging us to bring our authentic selves and connect, despite the differences we have. Do we fear that if we are our authentic selves, if we express a different opinion, we’ll get ostracised by the people who we think we belong to? Even if we go the same church. Even if we live in the same street. Even if we live in the same house. So, there’s a tension here. In order to feel we’re not alone, in order to truly belong, we need to be our authentic selves. Is showing up as our true selves and developing community, despite our differences, an answer to this tension? Maybe. What if we showed up as ourselves? What if we become the one who others depend on? What if we find the courage to show up for each other? What if we show up and find our place in the world? 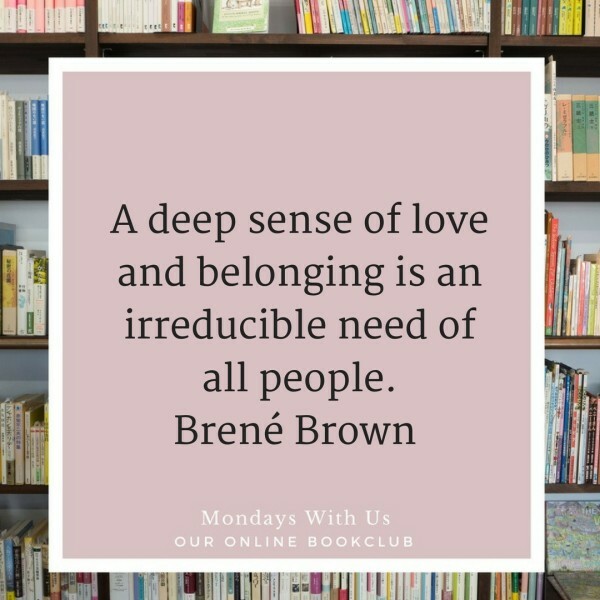 What if we find true belonging? I’m learning to find the infinite power of showing up, but it’s taking a lifetime. Article supplied with thanks to Elaine Fraser, a teacher, mentor and author from Perth WA.